Olive Rush has been fully characterized a century later as a groundbreaking female artist of the Southwest. However, she had scarcely moved to Santa Fe the year before when this piece was executed at the age of 48. Her interest in the Southwest had been developing over the course of nearly a decade of forays until finally she put behind her the full time occupation of a New York City commercial illustrator (Harpers, New York Tribune, Scribner’s, Good Housekeeping, McClure’s, and Woman’s Home Companion) and set off for New Mexico a full eight years before O'Keefe would move to Abiquiú, New Mexico. Prior to their moves, in New York, Rush and O'Keefe shared a studio on 3rd Ave. Rush was the first woman member of the Santa Fe Art Colony working out of her little home studio on Canyon Road which she purchased in 1920. 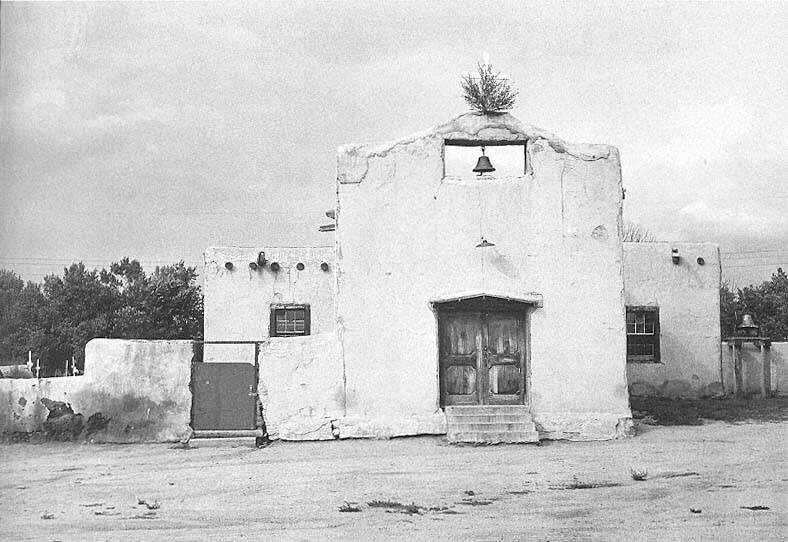 The centuries old adobe building which she very much customized as her own was ultimately conveyed to the Religious Society of Friends, the Quaker faith in which she was born and died. 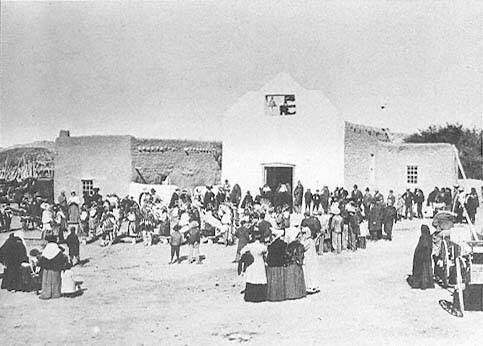 The City of Santa Fe now considers her home a highly significant building. 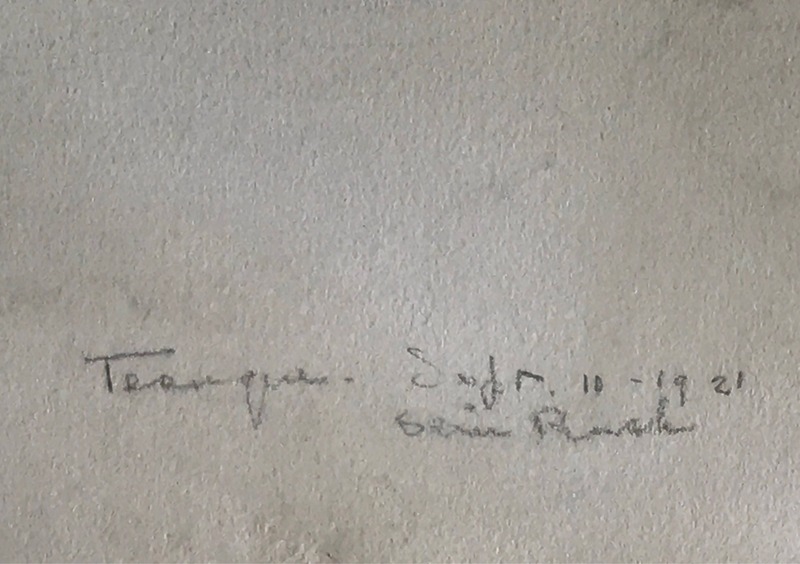 The work of Olive Rush is now held in numerous museum collections including The Phillips Collection, Smithsonian American Art Museum (her papers), Houston Museum of Fine Art, Indianapolis Museum of Art, The Brooklyn Museum, and Museum of New Mexico. 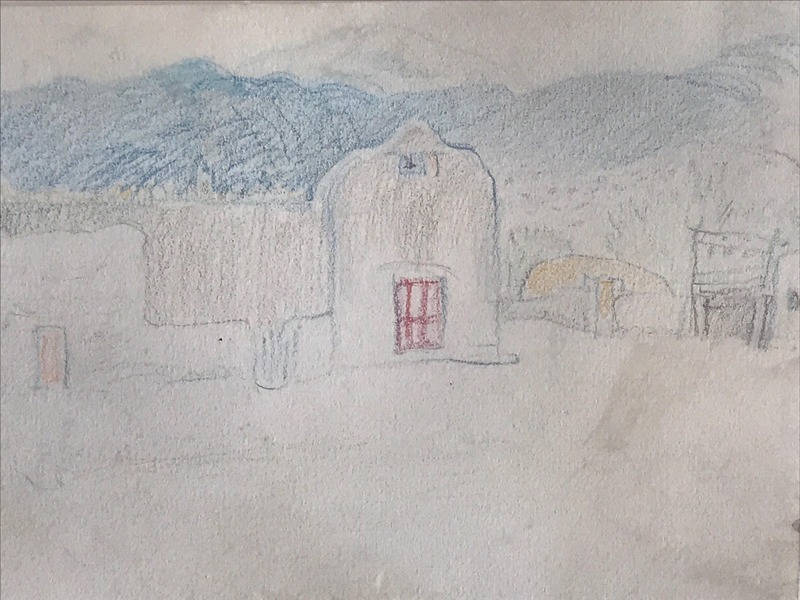 This spare modernist piece is representative of her view of the Tesuque Pueblo which she frequented numerous times, notably on her first real trip to New Mexico in 1914 with her sister, Myra. 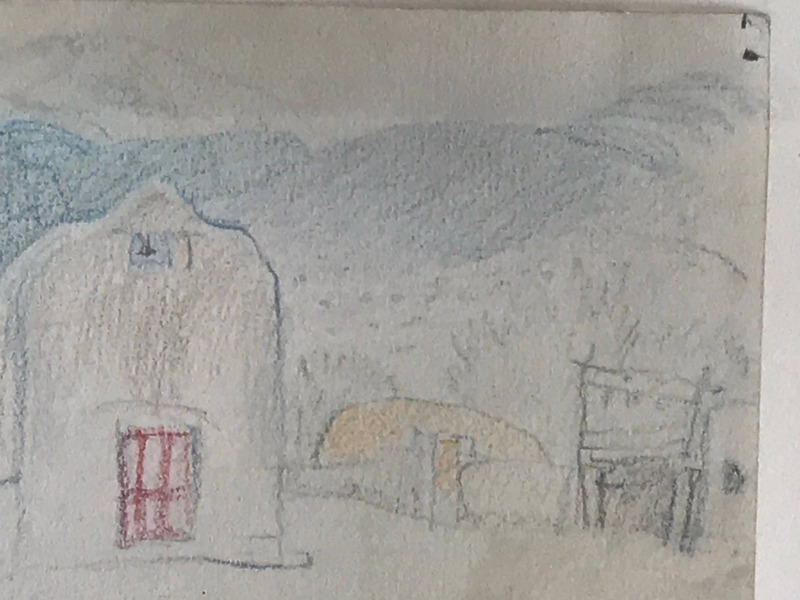 It was during this seminal trip that she broke major ground for female artists of the Southwest when she produced her first drawings of the pueblos and the native ceremonies surrounding Santa Fe. 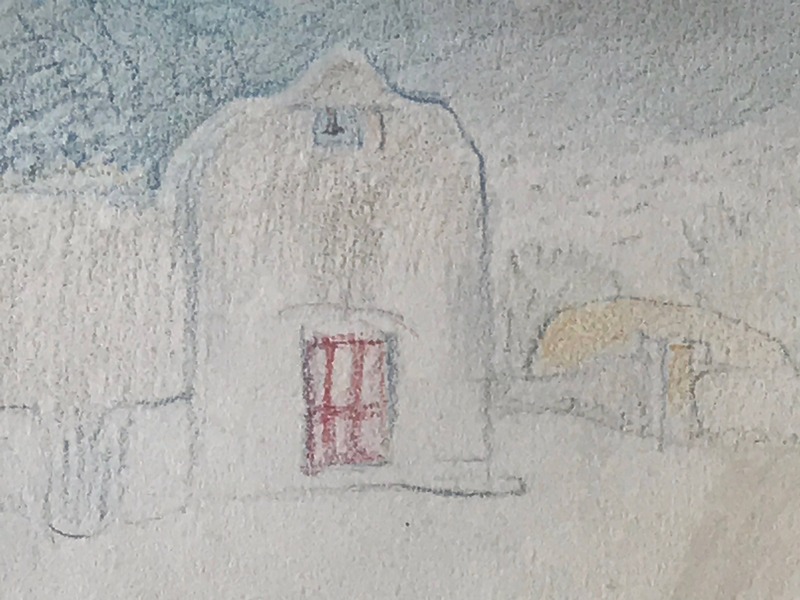 The original church illustrated in this drawing at Tesuque Pueblo was dedicated to San Lorenzo, and its founding is credited to the indefatigable Benavides in the late 1620s. The church burned in 1680, was rebuilt in 1695, and was generally renovated a number of times through the convening centuries. Clearly, this pueblo was a place she loved. 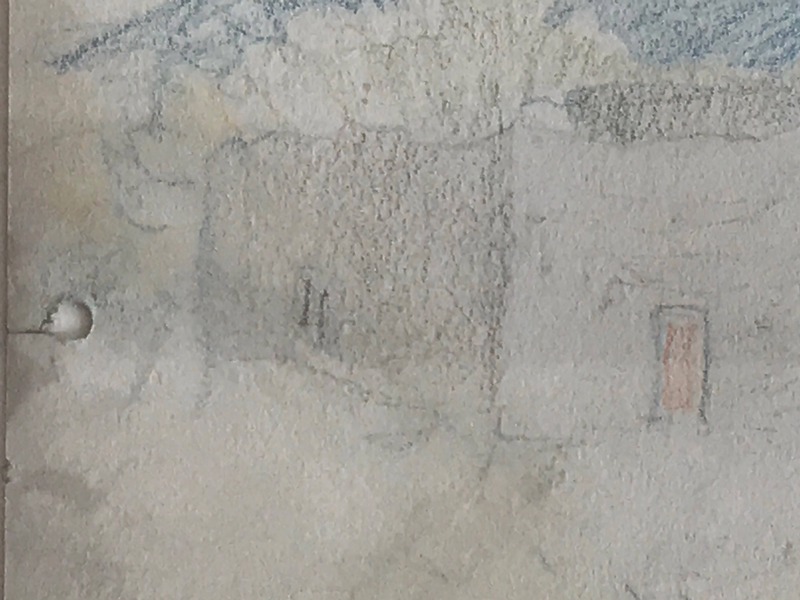 Her rendition of it is done primarily in blue, brown, orange, yellow, and with the prominent red door. The piece is signed in pencil at lower right: "Tesuque - S Fe 10-19-21 Olive Rush". 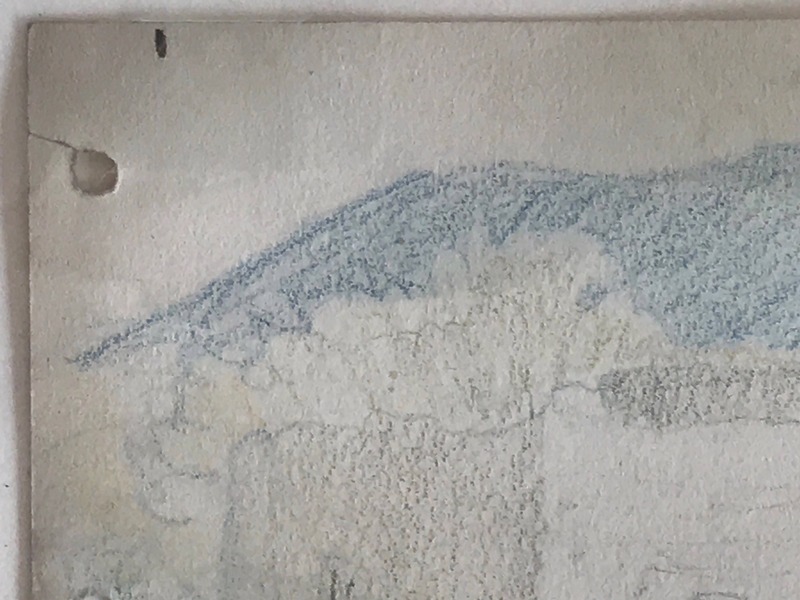 Although this is a relatively small piece, during her career she was also commissioned to complete large scale pieces like murals in public spaces (WPA among other). 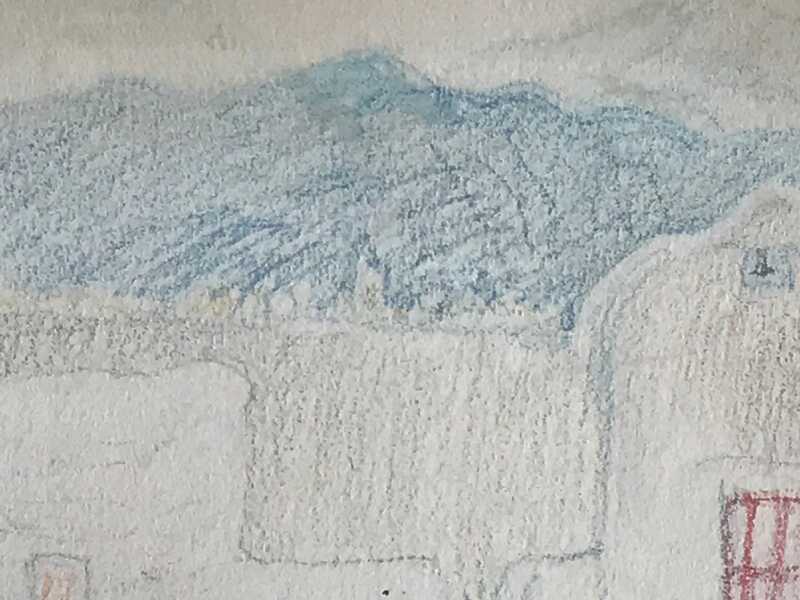 Although this is a relatively small piece, during her career she was also commissioned to complete large scale pieces like murals in public spaces (WPA among other). 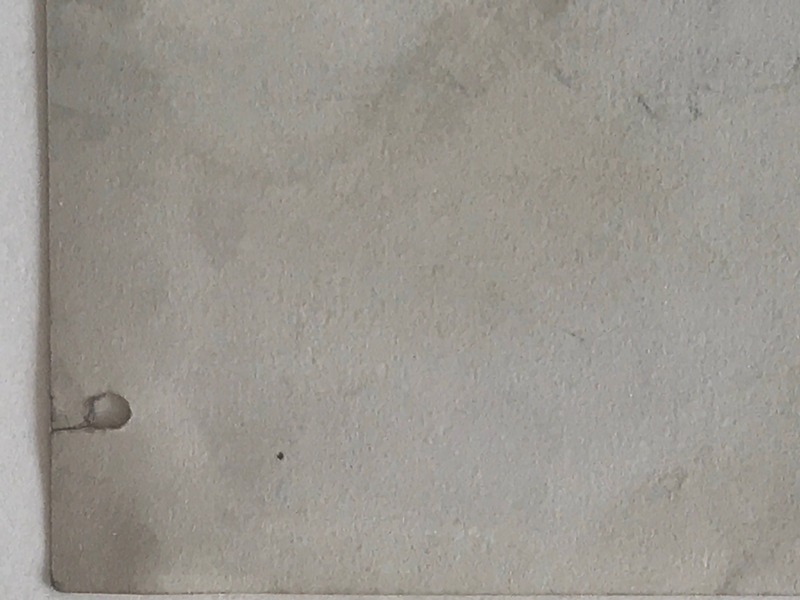 Condition is good with minor foxing/discoloration that appears age appropriate and not disruptive. Framed in an acid free matte in the floating style on hinges. Dimensions: 6 1/8" x 9.5" in a 19" x 23" frame.